Fortaleza, is in northeastern Brazil and the capital of Ceara State; it is a seaport on the Atlantic Ocean, near the mouth of the Ceara River. It is one of Brazil’s chief seaports for chief exports such as coffee, cotton, carnuba wax, beans, rice, sugar, fruits, rubber, hides, skins and rum. Fortaleza was founded in 1611, becoming the capital of Ceara State in 1810. The current population is about 2.2 million inhabitants. 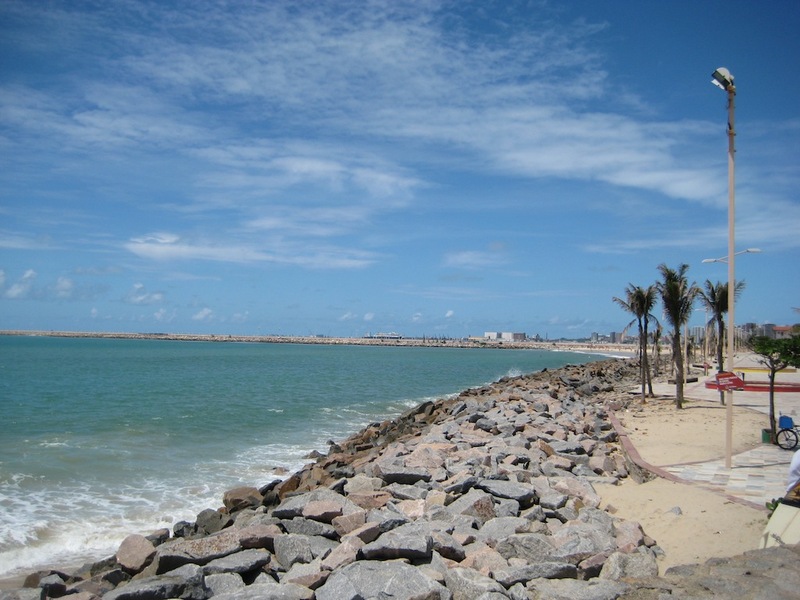 Located very near the equator, Fortaleza has twelve hours of daylight year round and the temperatures are very warm ranging between 80 and 95 degrees day and night. Our tour started with a drive by the Praia do Futuro, a popular four mile long beach where there are many beach facilities including open air eating establishments, beach chairs and umbrellas, showers and restroom facilities. Fresh fish are sold at beach stands, along with souvenirs. 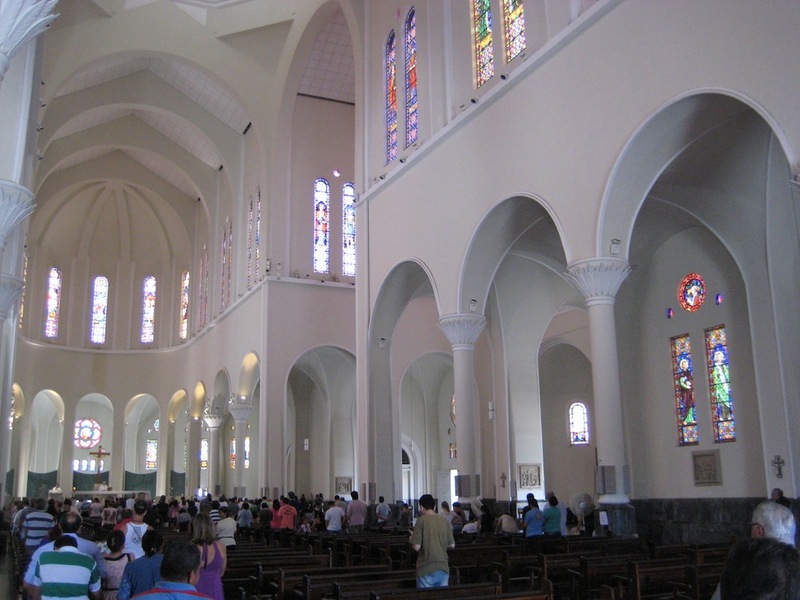 We stopped at the Metropolitan Cathedral of Fortaleza for a look at the beautiful stained glass windows and vast interior able to accommodate a crowd of 5,000. The church is newer and fairly simple inside and out. A mass was underway. Our next stop was the central market, which has over 500 stalls where locals sell clothing, local lace and embroidered products such as table cloths, clothing and locally grown cashew nuts. Hammocks of all sizes, shapes and colors are also popular. 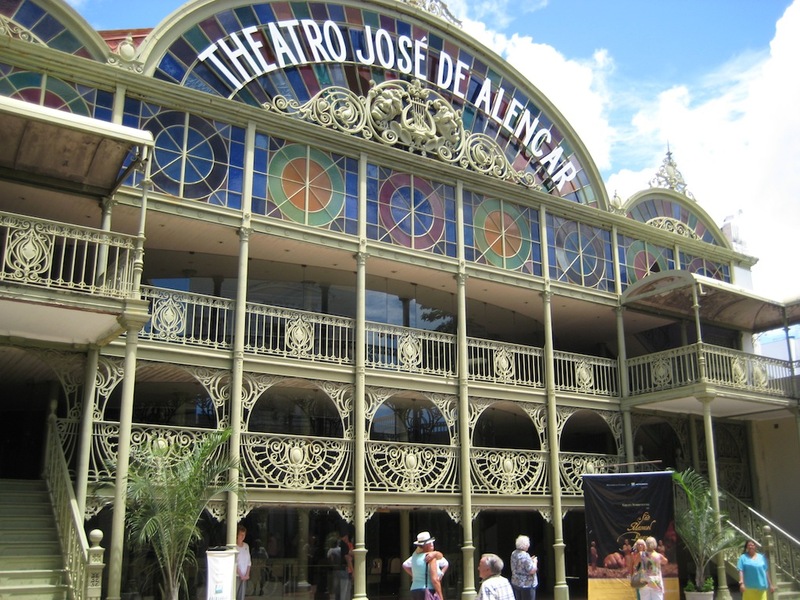 Next was the Jose de Alencar Theater, a memorial to the famous 19th century writer and poet from Fortaleza. The theater is a beautiful Art Nouveau style building from 1910 and is still used for theatrical performances today. The theater is horseshoe shaped with two balconies enclosed with ornate ironwork railings from Scotland. The theater seats are all made of woven cane and wood, and the ceilings and walls are all ornately hand-painted murals, painted by a painter with no hands. Still a beautiful theater 100 years after it was built. 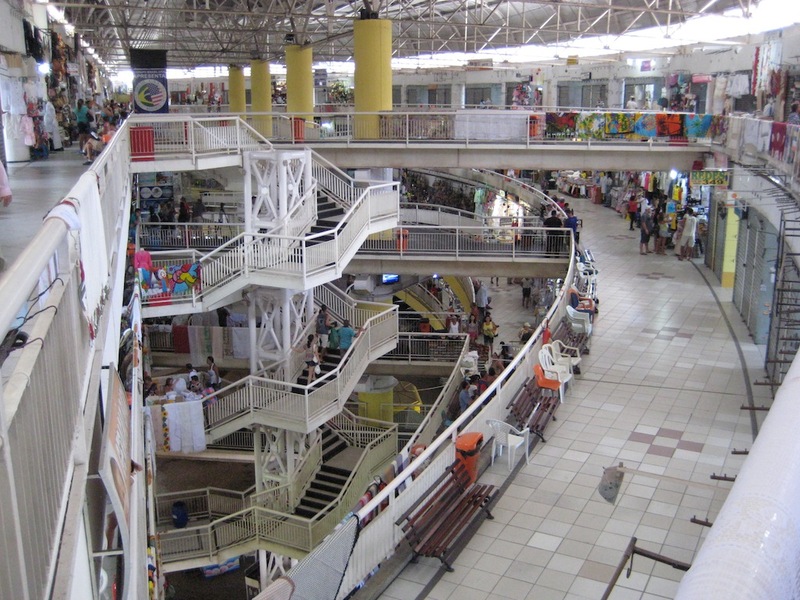 Our last stop was the Praia de Iracema located in the newer part of town near most of the hotels and nightlife. White sand beaches stretch for miles with several piers that reach out into the sea creating a great place to enjoy sunsets. The beach is lined with high-rise towers and looks very modern. The sand has been eroded and huge rocks protect the remaining shore. 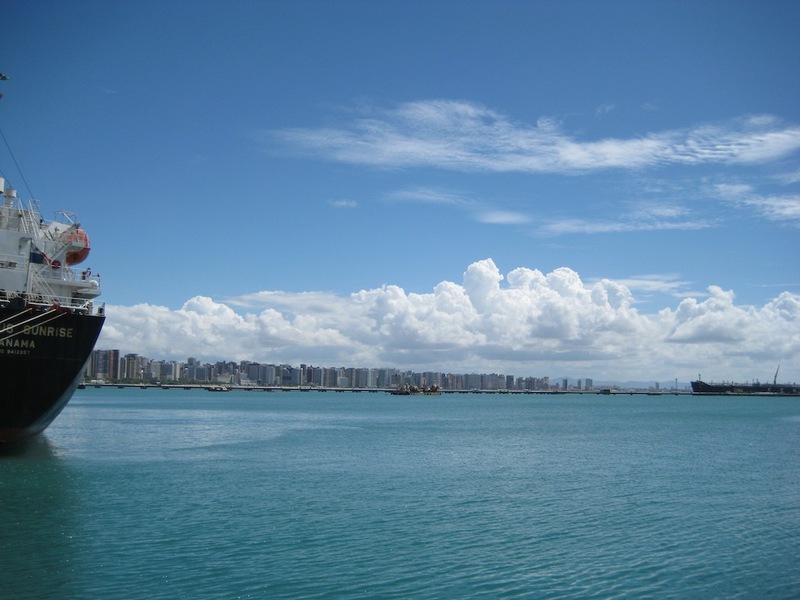 Our overall impressions of Fortaleza are that it is a city of contrasts. We drove through some streets that reminded me of a war zone with half demolished buildings, unfinished roads, graffiti and trash everywhere. Further down the road we would find newer developed neighborhoods with new high-rise buildings and pleasant looking shops. Construction seemed to be going on in all parts of town, but it was still not a very pretty city. We attended the sail-a-way, then drinks and dinner. The Amsterdam singers and dancers performed Abba songs, which we loved. Dennis and Robert sat with us and Robert helped us critique the performance. He is quite a musician and had worked for the Disney archives.